One of the things I love about my mom visiting me here in Kuala Lumpur, is that she is able to bring me some of the things I miss from Manila. One of it is this sweet pastry which is a staple in the Philippines, mostly because of the Spanish influence during their years of colonization. 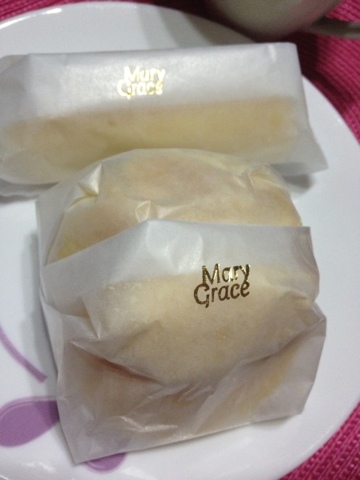 I often dream about this brand's (Mary Grace) Ensaymada and Cheese Roll. For lovers of cheese and soft pastry, this is one of the must-try pastries when in Manila. How I wish I can find something equivalent here! 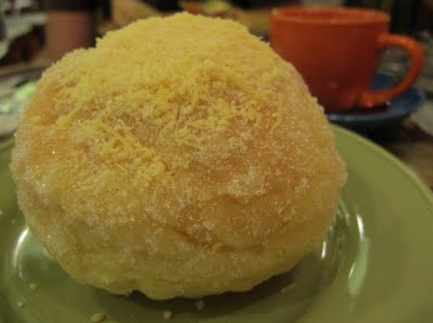 Ensaymada - cheesy and oh-so-soft!